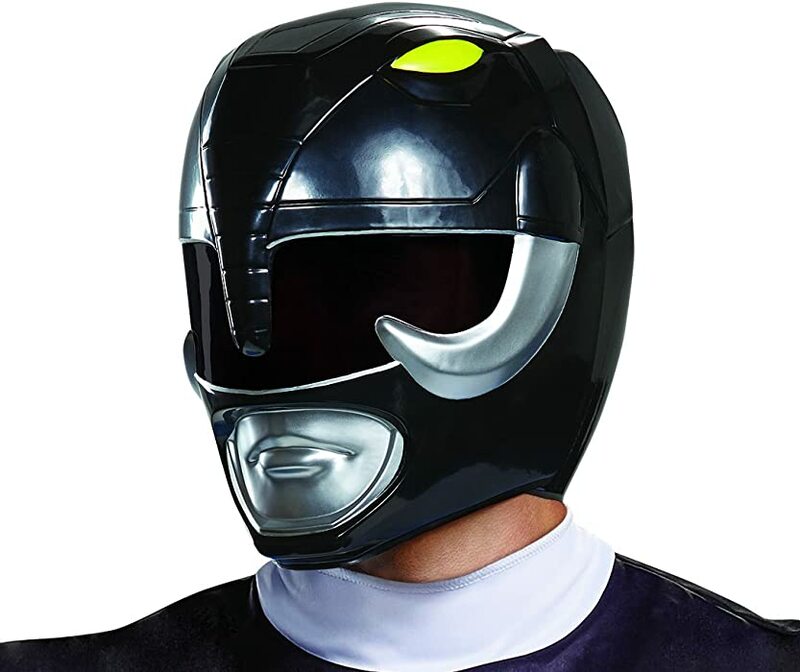 Hey guys, i just came across the disguise Power Ranger costumes and helmets. Has anyone ever bought them and would be great to see some pictures and reviews on the items. I'm thinking of buying one..
Last edited by MK19; February 24th, 2019 at 09:21 AM. 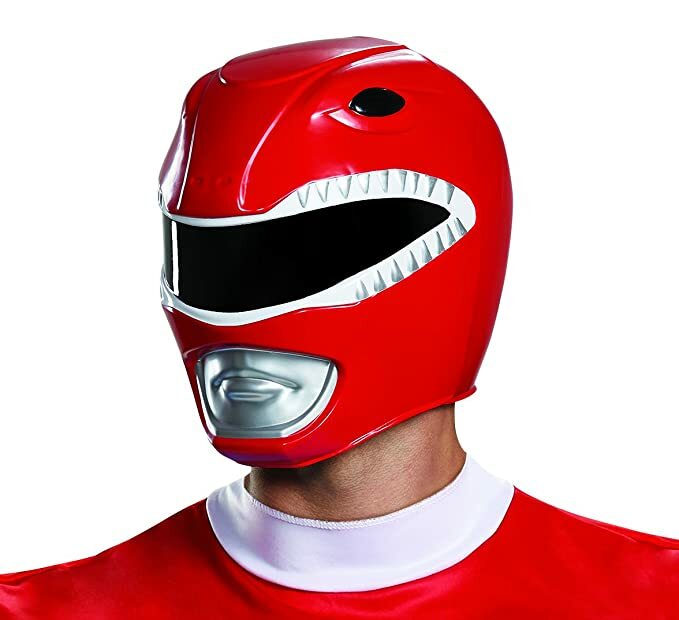 I actually bought the Red Ranger costume (not the muscle one) a couple of years ago. The suit itself is pretty good fo the price. It's not the same quality you would get for a $200 suit, but decent enough for a Halloween costume. The mask itself isn't very good, just two halves that stick together with velcro, and not very accurate, but I bought the suit to wear with my Legacy helmet anyways, and it looked pretty decent. The gloves aren't too bad, but they experienced a lot of color bleed from the red, but you can also buy the same gloves seperately. it comes with boot covers instead of actual boots, so that takes away from the look a bit, but I ultimately ended up buying actual boots the next year to replace them with. All in all, it's not too bad for a budget suit. I personally think its best with Legacy helmet or actual helmet as the mask is cheap looking, and accessories you can update little by little as that's what I'm doing. I definately like mine, and while not high quality, it's better than I expected. One other thing note though is that the color also bleeds off of the costume as well. I wear a white turtleneck underneath to simulate the neck part of the underhood (the part between the helmet and suit), and it ended up pink from the dye. Luckily I only bought the turtleneck for that purpose anyway. Also the white triangles are not printed on the back like they are on the front, so it's inaccurate in that sense as well. Plus the belt is slightly inaccurate and thin, so if you want to holster a blade blaster, (holster not included), it will sag lots, so I reccomend upgrading that if you get a chance. I know that's next on my list. Last edited by c_dude; February 24th, 2019 at 04:41 PM. ^^Thank you for your detailed reply. For the price i'm tempted to get it. How would you comparw the size of this helmet in comparison to the legacy one? How much to these suits go for anyway? Cuz I paid about 100$ for a Green Ranger costume off Aliexpress and I gotta tell you, I am thrilled with the overall quality for that price and highly recommend them! $100 got me - undersuit, shield, armbands, gloves, faux leather glove cuffs, faux leather boots, belt with holster and morpher. And it looks great with the Legacy helmet. They've got a large selection of suits from different seasons too, just be careful which version you are looking at because there are some shittier ones. Some sellers also have helmets, but they are fairly bad from customer pictures I've seen in the sellers' feedback. Cool pic! Full set is not much, around $60/70 maybe. I wouldn't say the costumes are that good though, they're more muscle suitish. I was more keen on the helmets. I was planning on getting these helmets and then buy a decent suit. Helmets alone aren't too expensive and they actually look okay. Obviously not the quality of a proper helmet or the legacy helmet but look wise i thought it was decent. It looks very close to the real thing..
Last edited by MK19; February 25th, 2019 at 05:08 AM. As long as they're not the flimsy plastic that most carnival masks are made of and they sell them separately from the suits, then yes, they do look like great budget options.